A stakeholders forum was recently held in the Cordillera region of northern Philippines to bring together groups and institutions involved in the 'heirloom rice' value chain and establish linkages among them. 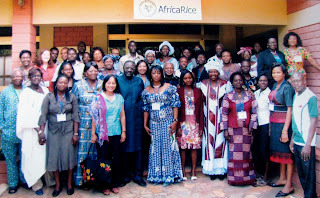 Stakeholders who attended were traders; producers; market facilitators; and representatives of farmer groups, NGOs, the regional, provincial, and municipal agricultural offices, and the Consortium for Unfavorable Rice Environments project. 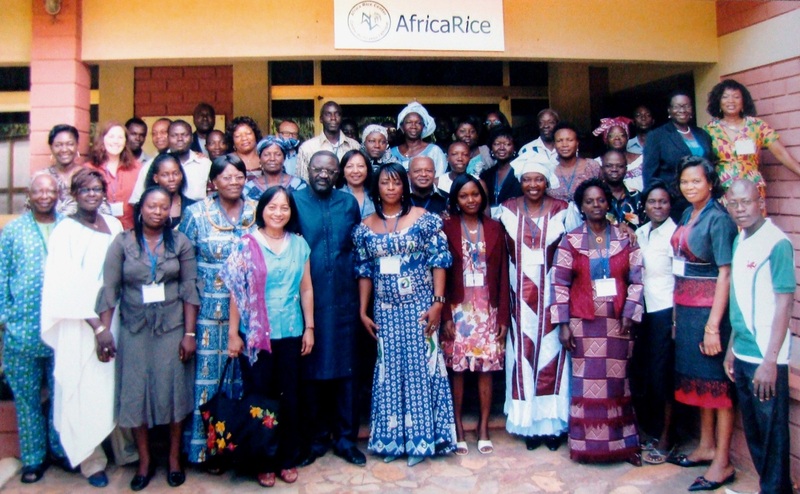 A workshop held recently at AfricaRice in Cotonou, Benin, reviewed gender in rice research and development, specifically the findings of the study Gender and climate change in stress-prone rice environments in Asia and Africa. Through the workshop, participants also sought to strengthen research capacity in the region on gender issues and how these may be integrated into the processes of rice research and in technologies. with some of IRRI's budding scientists. 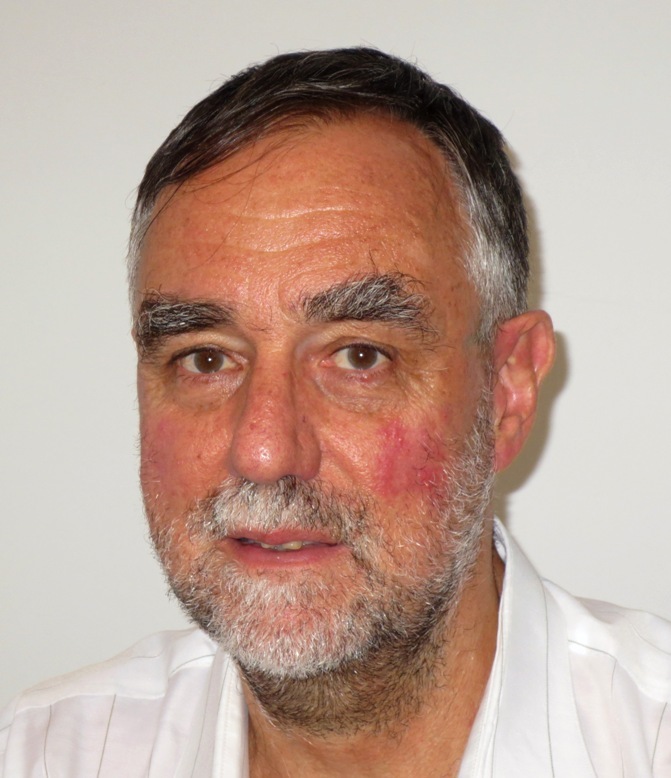 Mike Jackson, OBE, former director of program planning and coordination and head of the Genetic Resources Center at IRRI, was the guest in this month's Young Researchers Lunch. 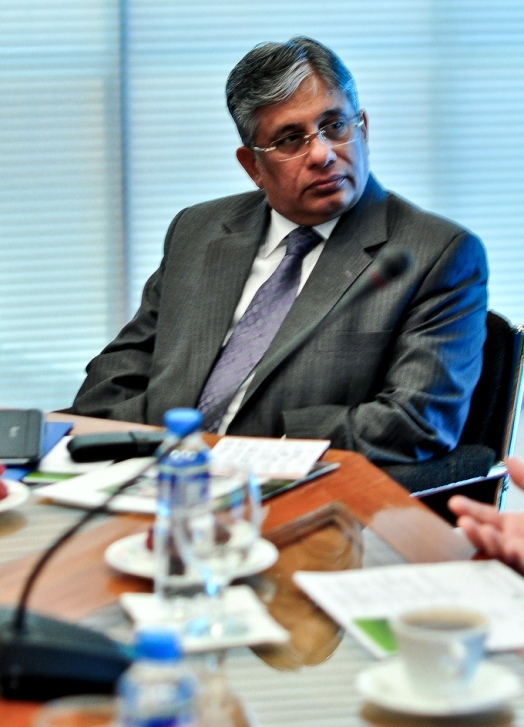 Dr. Jackson met with IRRI researchers Lenie Quiatchon-Baeza, Tahir Hussain Awan, Pogs Manalili, James Quilty, Kai Wang, and Zilhas Ahmed Jewel on 6 May 2013, sharing stories from the course of his career that started at the International Potato Center in Peru, before the CGIAR was even formed. 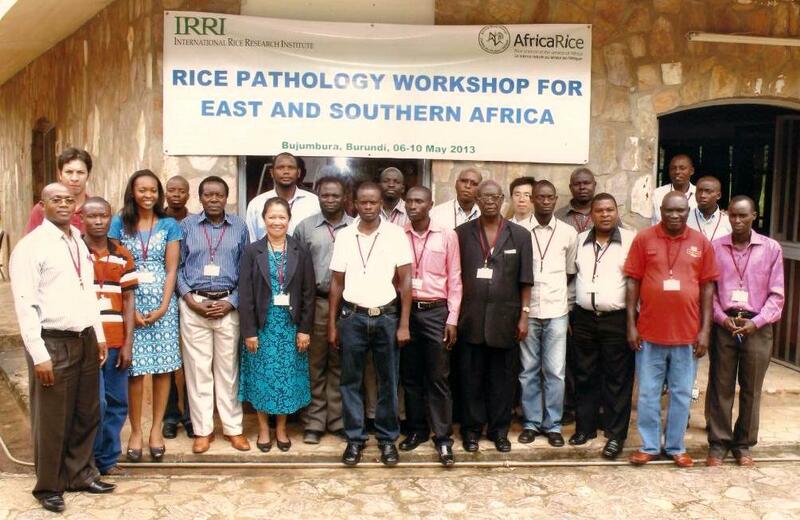 The Africa Rice Center (AfricaRice) partnered with the International Rice Research Institute (IRRI) to organize the 5-day (6-10 May 2013) Rice Pathology Workshop that attracted 23 participants from the 7 countries of the East and Southern African (ESA) region—Tanzania, Uganda, Malawi, Mozambique, Kenya, Rwanda, and Burundi. To further strengthen its linkages with the international community, IRRI held Ambassadors’ Day on 3 May 2013 at its headquarters in Los Baños. Forty-three guests that included ambassadors, consuls, and representatives from donors, the Philippine Department of Foreign Affairs, and the Los Baños Science Community came for the day-long event. Arvind Rana Kaushal, additional secretary of India’s Department of Agriculture Research and Education and secretary of the Indian Council of Agricultural Research, came to IRRI on 29-30 April 2013 to learn more about IRRI’s work and discuss expansion of the IRRI-India collaboration. 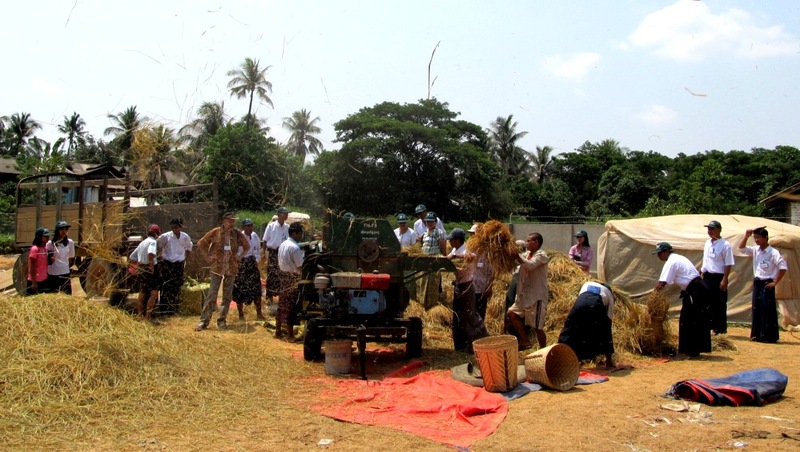 A training course on postharvest management for improved quality of rice grain and seed was held in Daik-U Township in the Bago Region of Myanmar on 2-4 May 2013. 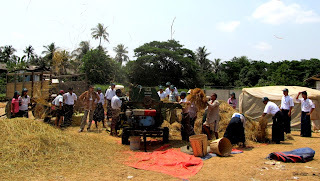 A 4-day training workshop, Rice technology transfer system (RTTS) for stress-prone environments in South Asia, was held jointly by IRRI and the Faculty of Agriculture of Annamalai University in India. 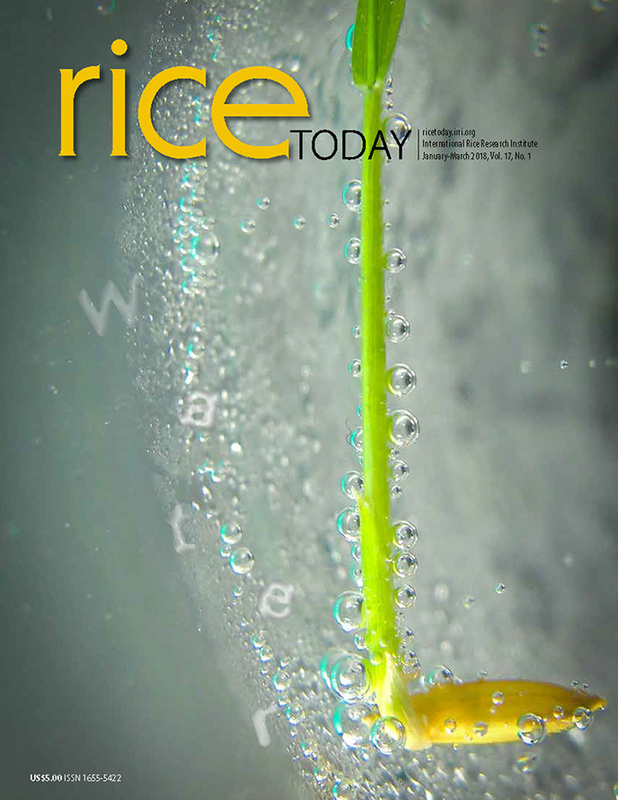 The Climate Change Adaptation in Rainfed Rice Areas (CCARA) project held its third annual review and planning meeting on 28-29 April 2013 in Bali, Indonesia. Research results were reviewed, issues discussed, and a work plan and experimental protocol drafted.